Nokia Chat beta, a Yahoo powered messaging service, has gone live for all Nokia devices including Lumia Windows Phones, Asha and other Series 40 feature phones and Symbian handsets. The cross platform Nokia Chat has been available for a while in some countries, but in others it was strangely missing. 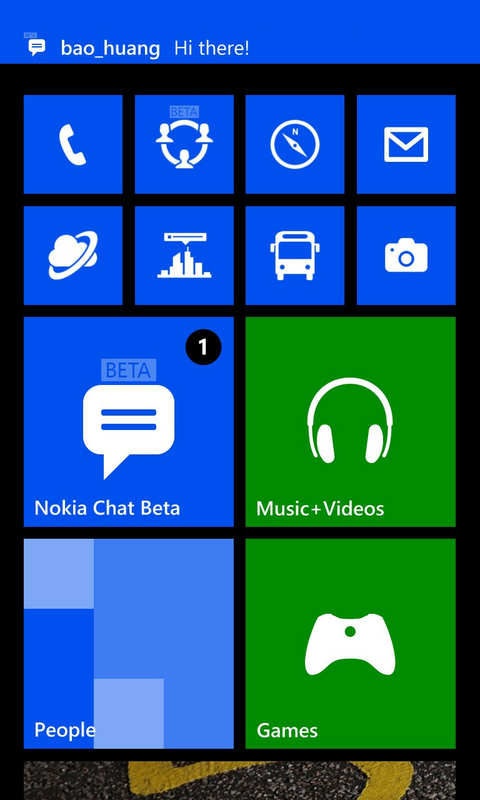 “Connect with Nokia Chat friends who use Lumia, Asha, S40, and Symbian devices, and those using Yahoo! Messenger on other mobile devices and platforms. Our cross-platform support lets you reach millions of people across a wide range of mobile devices and computers,” the Nokia Beta Labs team said. The service unites Nokia’s own chat messaging with Yahoo’s messenger and adds push notifications and live tile updates for Windows Phones. You can also use it to share your location. Download java file then. This will be same as Whatsapp / BBM. still u talk too much! !